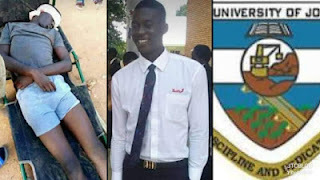 The current situation at hand in Jos, Plateau state has claimed the life of a promising young 300L law student of Unijos in the early hours of today. 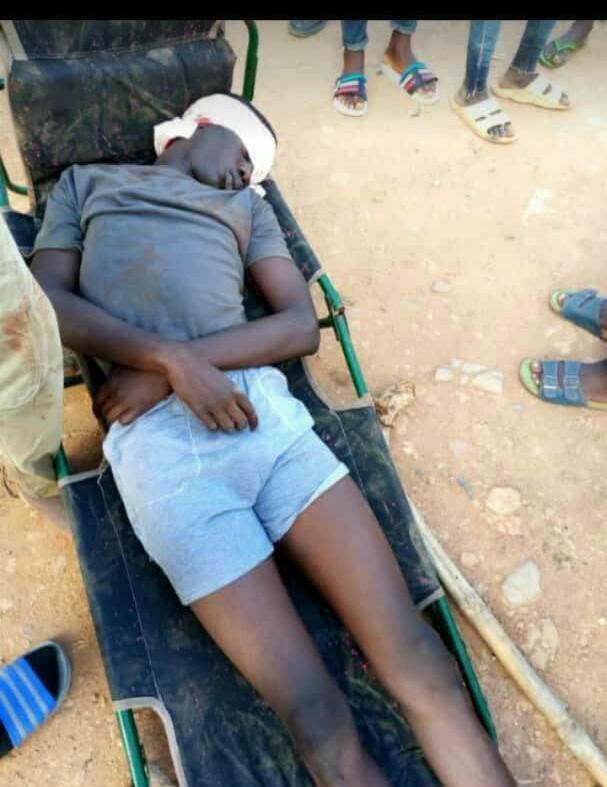 According to a source close to Unijos camp, the source disclose to our News correspondent that some men on uniform believe to be part of the military troops that was sent to Jos and it's environs to garner support and instill peace in the entire locality stumped the school premises then opened fire on students leaving 7 dead. The source also added that as at the time of sharing this news, over 7 students were confirmed dead from this incident. Friends who happens to be close pals to the deceased have taken to their various social media platforms to mourn their beloved colleague. 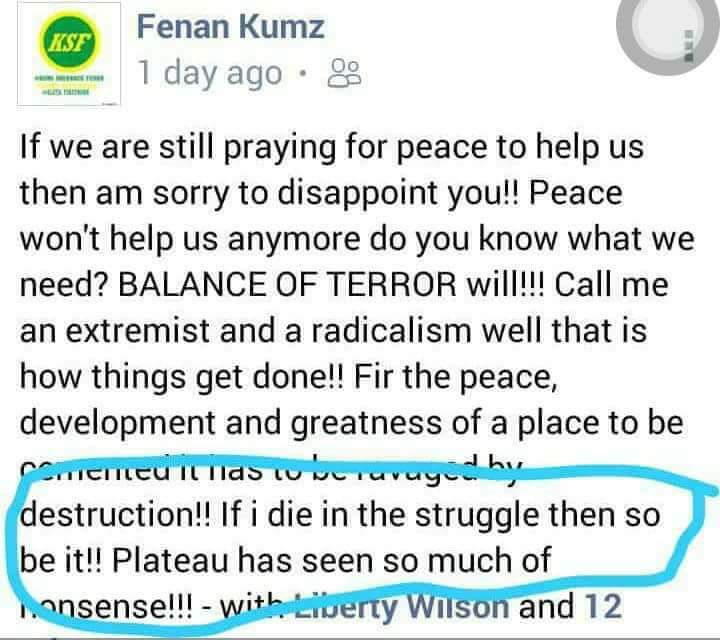 One of the deceased worthy of mention is one Kums Shedrack, a 300L law student of Unijos who was gruesomely shoots in the early hours of yesterday. If I die in the struggle so be it. The photo above is Kumz last post before he was shot dead today. In all of these, we pray for God to give his family the heart to bear this loss. Rip Kumz..